Cancer rates are expected to rise 70 percent over the next 20 years according to WHO despite tremendous advances in medical technology and knowledge. On January 13, 2016, President Barack Obama announced a national initiative to find a cure for cancer. Should we wait for the medical system to find a cure or can we act for ourselves now? Let’s start with eating healthy real food, especially ones that have been proven scientifically to help in fighting cancer. Here are six of them. Reduce prostate cancer with flaxseeds. Research studies have shown that lignans can slow the growth of prostate cancer cells. Risk of breast cancer may be reduced with tomatoes due to their high amounts of carotenoids (alpha-carotene, beta-carotene, lutein, zeaxanthin, lycopene, and total carotenoids) as shown by research in the Journal of the National Cancer Institute . Risk of Prostate cancer was found to be reduced in a study showing men who ate more than 10 portions of tomatoes or tomato products per week reduced their risk of prostate cancer by 18 percent compared to men who ate less than 10. It is clear that the current evidence favors the consumption of tomatoes and tomato products rather than lycopene supplements as stated in the Oxford Journals. Researchers at Ohio State University found nutrients in Hass avocados kill or stop the growth of pre-cancerous cells that lead to oral cancer. 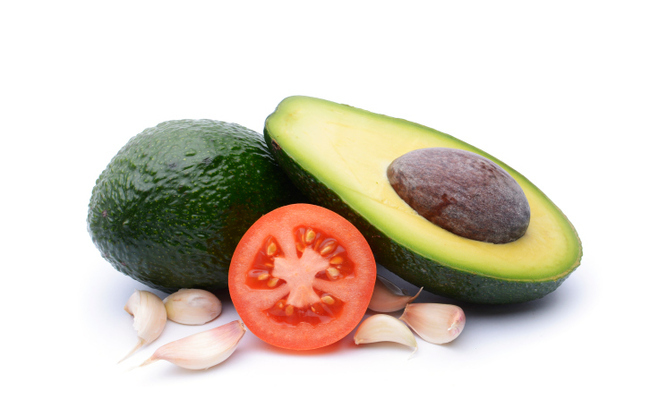 Avocado extract was found to inhibit prostate cancer. Molecules in avocados have been found to attack leukemia stem cells directly while leaving healthy cells unharmed, according to a study. Lung cancer risk decreased in a study with those who ate raw garlic two or more times a week, according to a study published in the journal Cancer Prevention Research. The researchers also found that even smokers who ate raw garlic decreased their risk of lung cancer by around 30 percent. Garlic, as an allium vegetable, has been found in a study to protect against stomach and colon cancers. “In test tubes, garlic seems to kill cancer cells. And studies suggest that people who eat more raw or cooked garlic are less likely to get colon and stomach cancers and cancer of the esophagus.” – University of Maryland Medical Center. Legumes were found to reduce risk for colon cancer.Scientists examined 14 studies with 1,903,459 participants and found that those consuming the most legumes, especially soybeans, had the lowest risk for colon cancer. Pancreatic cancer risk was lessened when legumes were consumed more than two times a week compared to those who ate legumes rarely or less than once a week, according to a study. Cruciferous vegetable have been shown to lower overall cancer risk according to research at Oregon State University. They have been found to help inhibit and regulate cancer-causing genes, according to research at the University of Alabama at Birmingham. 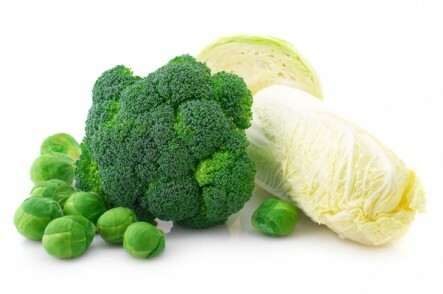 People who ate greater amounts of the cruciferous vegetable, Brussels sprouts, had a lower risk of cancer, as stated at the National Cancer Institute fact page. I am developing an allergy to tomatoes I think. waaa!!! I love tomatoes! But, thanks. I want to add here BLACK ROOT! Friends: Please go to petitions.whitehouse.gov and add your signature to the We the People petition "Arrest Ammon Bundy and the armed occupiers of the Malheur Wildlife Refuge." You can make a difference. Please speak-up for America's wildlife. If we don't, than who will?